Not a patch on an IQ-X but ok for town riding. Nice and small and light. Beam is a big long rectangle with a sort of crown pattern on top. It's a bit odd but you can see the potholes coming. Mine has a fault where and - are incorrectly labelled but I just reversed the wires. Very pleased, perfectly good light and plenty bright enough for my street lit commute. Works from almost zero mph with my Shimano hub dynamo. I didn't know what 30 lux meant in real terms. Now I do, it is about half of what I'd like out of a front light. This light gives me just adequate lighting for riding through the lanes, not enough sidewards spread on corners. The lens provides a spotlight at distance and a rectangular box back to the bike. If it were 50% brighter I'd be happier but for 32 quid I can't complain. Does this have outputs to rear light? 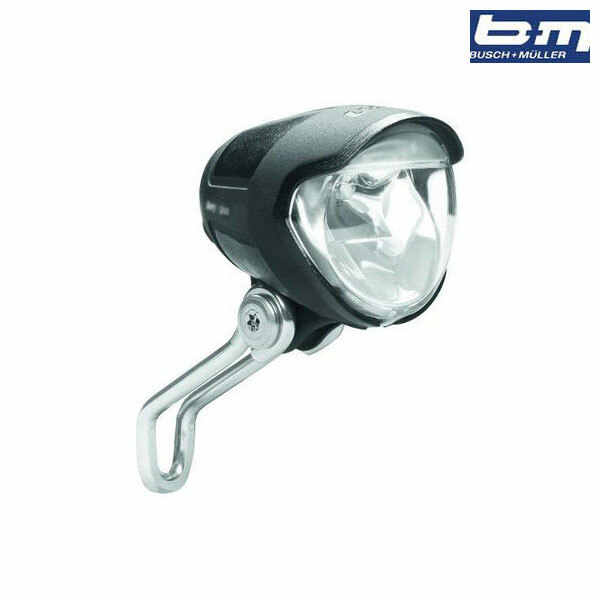 This light does indeed have an output for use with rear lights like the B&M Top Light Plus. I have just ordered that light and it says on the manufacturer's website that there is no standlight on it contrary to what you say. Is that the Avy N Plus or the Avy N? The 'Plus' designation is B&M's code for standlight. Although there is an Avy N light without this feature, this light we are selling here does definitely have a standlight. Will The Wires Required For Rear Light Be Included When I Purchase? Plan to buy a B&M rear light, too. There is no rear light cable supplied with this light I'm afraid. Some rear lights come with the cabling but some of the others don't as well. This is indeed an LED light.